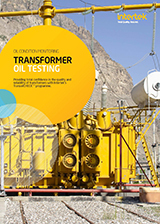 Wind turbine lubricants and oils testing for on-shore and off-shore wind installations. Intertek identifies potential wind turbine lubricating oil and machinery problems, helping avoid failure and down-time. 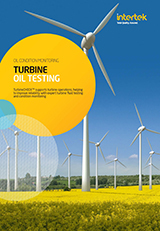 Intertek provides full engineering interpretation of wind turbine lubricant quality test data, providing the client with a comprehensive report on both the condition of the lubricating oil and health of the wind turbine machinery. 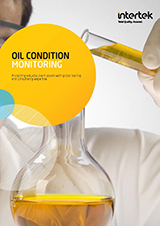 Analysis from system lubricating oil samples gives a direct indication of machinery and component health, saving the client costly failures, down-time and repairs. Testing wind turbine lubricants provides an early-warning of serious potential problems, which if left unchecked can cause equipment to be decommissioned or overhauled.